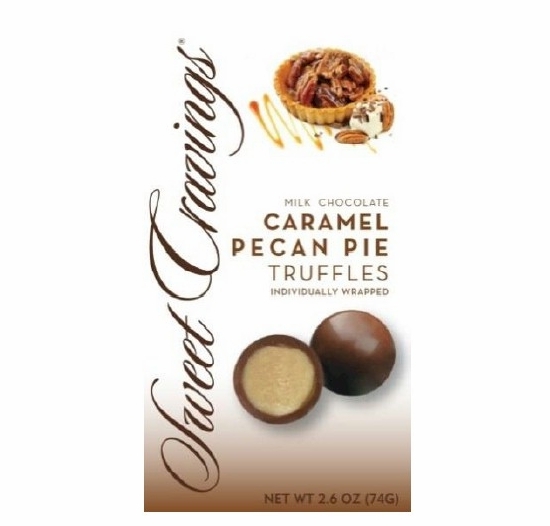 Sweet Cravings Caramel Pecan Pie Milk Chocolate Truffles 2.6 oz. Home / Hot GIFT Ideas / Gifts under $25 / Sweet Cravings / Sweet Cravings Caramel Pecan Pie Milk Chocolate Truffles 2.6 oz. Home / Hot GIFT Ideas / Small Gift Ideas / Sweet Cravings / Sweet Cravings Caramel Pecan Pie Milk Chocolate Truffles 2.6 oz. Home / Hot GIFT Ideas / Gifts For Her / Sweet Cravings / Sweet Cravings Caramel Pecan Pie Milk Chocolate Truffles 2.6 oz. Home / Pantry Items / Snacks & Sweets / Brands Candy & Snack Favorites / Sweet Cravings / Sweet Cravings Caramel Pecan Pie Milk Chocolate Truffles 2.6 oz. Home / New England Classics / Snacks & Sweets / Brands Candy & Snack Favorites / Sweet Cravings / Sweet Cravings Caramel Pecan Pie Milk Chocolate Truffles 2.6 oz. Home / Foods of New England / Snacks & Sweets / Brands Candy & Snack Favorites / Sweet Cravings / Sweet Cravings Caramel Pecan Pie Milk Chocolate Truffles 2.6 oz. Home / Snacks & Sweets / Brands Candy & Snack Favorites / Sweet Cravings / Sweet Cravings Caramel Pecan Pie Milk Chocolate Truffles 2.6 oz. Home / Specialty Grocery / Snacks & Sweets / Brands Candy & Snack Favorites / Sweet Cravings / Sweet Cravings Caramel Pecan Pie Milk Chocolate Truffles 2.6 oz. Home / Pantry Items / Snacks & Sweets / Brands Candy & Snack Favorites / Cape Cod Cranberry Candy / Sweet Cravings / Sweet Cravings Caramel Pecan Pie Milk Chocolate Truffles 2.6 oz. Home / New England Classics / Snacks & Sweets / Brands Candy & Snack Favorites / Cape Cod Cranberry Candy / Sweet Cravings / Sweet Cravings Caramel Pecan Pie Milk Chocolate Truffles 2.6 oz. Home / Foods of New England / Snacks & Sweets / Brands Candy & Snack Favorites / Cape Cod Cranberry Candy / Sweet Cravings / Sweet Cravings Caramel Pecan Pie Milk Chocolate Truffles 2.6 oz. Home / Snacks & Sweets / Brands Candy & Snack Favorites / Cape Cod Cranberry Candy / Sweet Cravings / Sweet Cravings Caramel Pecan Pie Milk Chocolate Truffles 2.6 oz. Home / Specialty Grocery / Snacks & Sweets / Brands Candy & Snack Favorites / Cape Cod Cranberry Candy / Sweet Cravings / Sweet Cravings Caramel Pecan Pie Milk Chocolate Truffles 2.6 oz. Home / Popular Brands / Cape Cod Cranberry Candy / Sweet Cravings / Sweet Cravings Caramel Pecan Pie Milk Chocolate Truffles 2.6 oz. Home / Foods of New England / Brands (New England Favorites) / Cape Cod Cranberry Candy / Sweet Cravings / Sweet Cravings Caramel Pecan Pie Milk Chocolate Truffles 2.6 oz. 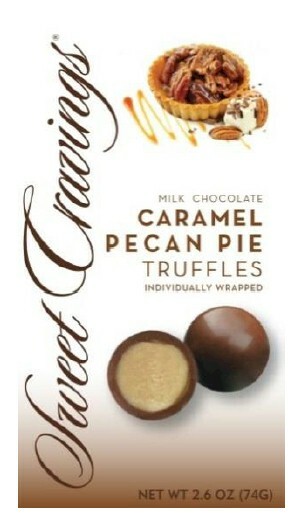 Home / New / Sweet Cravings Caramel Pecan Pie Milk Chocolate Truffles 2.6 oz. Caramel Pecan Pie combines milk chocolate, creamy caramel and the buttery taste of pecans to create a decadent treat. 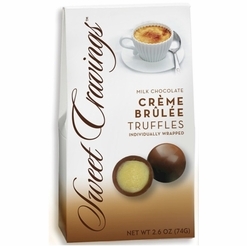 Sweet Cravings Crème Brûlée Milk Chocolate Truffles 2.6 oz. 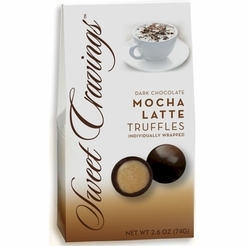 Sweet Cravings Mocha Latte Dark Chocolate Truffles 2.6 oz. 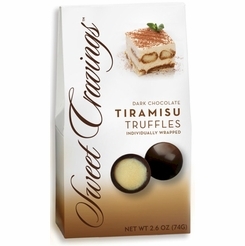 Sweet Cravings Tiramisu Dark Chocolate Truffles 2.6 oz.